Mary Reuterswärd was a social activist and the first Swedish woman to become chair of a municipal council. Mary Reuterswärd was born in Håtuna parish near Stockholm in 1894. She was the daughter of J. A. Nordenfalk, who was a cabinet chamberlain for King Oscar II of Sweden. The family lived partly at Älvestorp in Bergslagen, and partly in Stockholm where they had an apartment. When Mary Reuterswärd was 13 years old the family moved to Färna in Västmanland. Mary Reuterswärd’s father taught her to champion those who were less fortunate. During her childhood at Färna she learned from her father to ensure that none of the local tenants were in need or suffered illness or loneliness in silence. The district nurse in the area was the first person to impart some medical knowledge on Mary Reuterswärd who then, during the First World War, enrolled on a military nursing course so that she could become a supply nurse. She also joined the poor relief board. In 1915 Mary Reuterswärd married Gösta Reuterswärd, who worked as a temporary managing director of Ferna Bruks AB, chief executive of Porla brunn AB, and temporary managing director of Jäders bruk, where the couple settled. They had four daughters Viveka, Hedvig, Anna, and Caroline. The Reuterswärds enjoyed a rich social life and ran a hospitable home. Arboga Tidning contains many announcements for meetings held at their Jäders bruk home, including those for “lottorna” (female volunteer corps). Mary Reuterswärd fully started her social activism once she had moved to Jäders bruk. In response to the rise in unemployment during the 1930s Mary Reuterswärd set up her own company to produce the so-called Jäder woven rugs. Mary Reuterswärd designed the rugs herself and sold them to Svenskt Tenn AB. She also obtained the material to make the rugs by purchasing bulk loads of cheap felt from paper factories. She then washed the felt at the washhouse and dyed the cloth herself, dried it, and then tore the material into strips. With her husband’s help she set up four-metre wide looms at which three people would weave, side by side. The entire family was involved in this enterprise with the aim of providing employment for girls. The weaving business was very successful. Girls who would otherwise have been unemployed thus had jobs and selling the rugs provided an income. Mary Reuterswärd was also very active in the local associations of her area, in particular political and women’s associations. She was part of setting up Köping-Arboga Landstorms kvinnoförening in 1928 and was on the steering committee until 1938. She was chair of Hembygdsföreningen Arboga Minne and of Moderata Kvinnoföreningen in Arboga. She was a member of Arboga Moderata valmansförening, board member of Arbogaortens Bildningsförbund, local sectional leader of Arbogaortens Lottaförbund, and vice-chair of Västmanland Lottaförbund. She was also a member of the parish board and the pastoral church council. Mary Reuterswärd was elected onto Arboga municipal council in 1934. In December 1937 she became chair of the council, a post she retained until she herself sought to retire from it on 1 September 1948. Mary Reuterswärd’s social activism is apparent in the council protocols. Mary Reuterswärd’s election as the first female chair of a municipal council gave rise to major interest. She was acclaimed by the housewives’ association. Idun, Svensk Damtidning and Vecko-Journalen all published long articles on “Mrs Chair”, “Lady of the manor and chair of the municipal council!” and “Mrs Chair of the municipal council”. Mary Reuterswärd took on many other municipal roles further to her position as chair of the municipal council. She was a member of the municipal authority, the poor relief board, a parish commissioner for the district nurse, member of the billeting authority in Arboga home defence area nr.2, family support authority, administrative commission, the administration for the social home help authority, construction authority, civil defence authority, and election nominations committee authority. As a member of Arboga Beredskapskommitté in April 1940 Mary Reuterswärd, in Arboga Tidning, encouraged women to fulfil their civic responsibilities and register for emergency work should war arise. The main aim of Arboga landsförsamlings syförening (a sewing association) was to raise funds for a parish home. 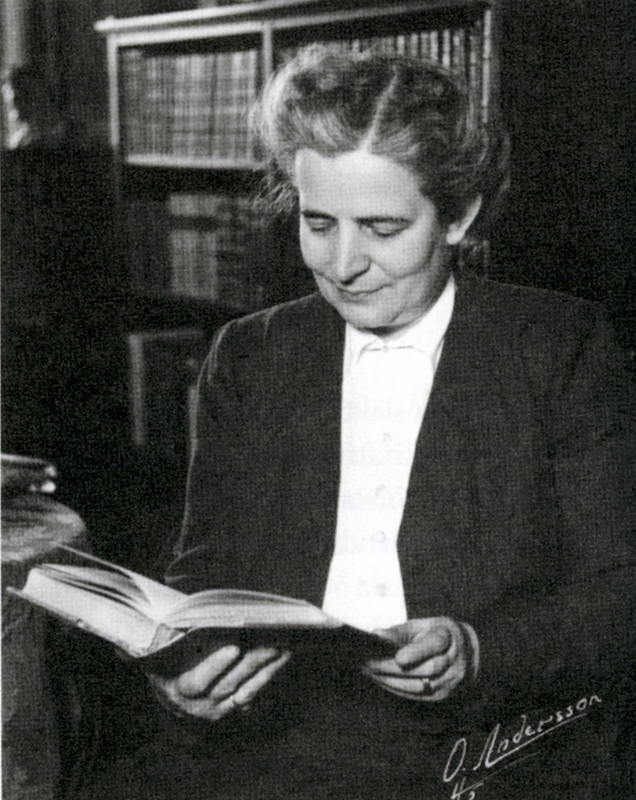 In 1938 Mary Reuterswärd became the chair of the association. Negotiations to acquire a property became intensified and in 1941 the Nicolaigården parish home was opened. The work of this ecclesiastical sewing association was important to both the church and the parish and gave Mary Reuterswärd a significant base and wide sphere of influence. The council and its chair, Mary Reuterswärd, were invited by the ecclesiastical sewing association to meet at Nicolaigården and in return the council funded the acquisition of chairs to be used at the premises. Mary Reuterswärd sat on the board for Västmanland Högerförbund (association for the right-wing party) on several occasions and for many years she was on the board for Västra valkretsen (a voting circle). She came top of the county council lists in at least two elections. Mary Reuterswärd was the only woman listed in high positions in all four lists of the 1940 parliamentary elections. In the 1944 parliamentary elections she was highly placed in five lists and was top of the sixth list. In the end of the 1940s Mary and Gösta Reuterswärd moved from Jäders bruk to Drottningholm where Gösta served as castle warden. In Governor Conrad Janson’s farewell speech to Mary Reuterswärd at a dinner at Västerås castle he referred to her as “Västmanlands Fröja”. A vibrant and central figurehead had left Arboga. Mary Reuterswärd was a member of Statens läroboknämnd (state textbook authority), chair of the board of Crown Princess Lovisa’s children’s hospital in Stockholm, as well as of Lovö Red Cross circle. When her husband died in 1963 Mary Reuterswärd moved to a villa in Bromma, where she lived until her death. For ten years she rented out her rooms to diplomats. Mary Reuterswärd died in 1975. Her grave lies at Lovö forest cemetery, within Ekerö parish. Mary Anna Louise Reuterswärd, www.skbl.se/sv/artikel/MaryReutersward, Svenskt kvinnobiografiskt lexikon (article by Ann-Cathrine Haglund), retrieved 2019-04-20.